Clearly these vehicles have shrunk in the wash. Backed by the Automobile Association ­– the UK’s biggest motoring organisation – AA World is an integral part of the Silverstone Classic powered by the AA (20-21-22 July), the world’s biggest classic motor racing festival with 1,000 historic race cars and 7,000 classic display cars. 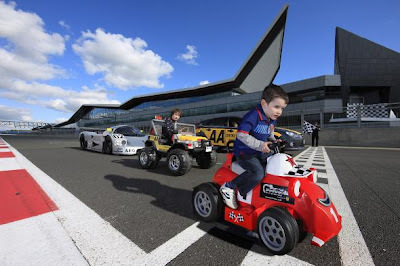 The three-day event is also a major family attraction with live rock music, air shows, retail village, vintage funfair plus a host of other entertainment in addition to a packed programme of track action showcasing the full spectrum of motor sport history. We'll have the Sauber Mercedes Group C please. 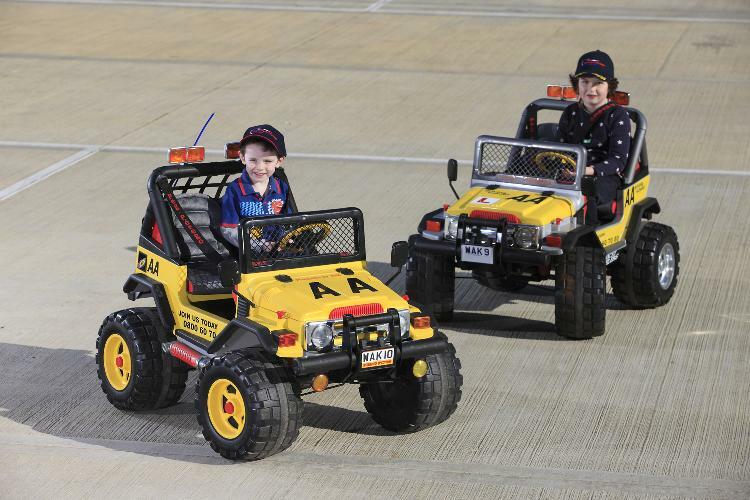 Edmund King, AA president, says: “AA World will get the whole family involved in the fun of driving from Roary The Racing Car for toddlers to hot laps and skid-pan sessions for the grown-ups. 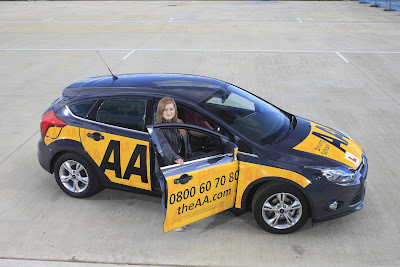 The AA World driving experiences will be free to both AA members and non-members. The AA believes that driving is an important life skill and it regularly campaigns on young driver road safety. Earlier this year, it called for driving science to be included in the National Curriculum and its charity offers free ‘Drive Smart’ tuition to young, newly-qualified drivers. Full details of the 2012 Silverstone Classic powered by the AA – including further information on AA World as well as a comprehensive selection of on-site camping facilities – are available via the event’s official www.silverstoneclassic.com website. There's plenty going on there, it should be a great event.